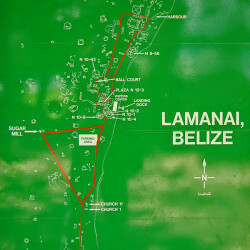 Lamanai is situated in the north of Belize and is thought to have been occupied by the Maya for over 3000 years, though with barely any excavation having taken place, there is little evidence of how life evolved over the millennia. 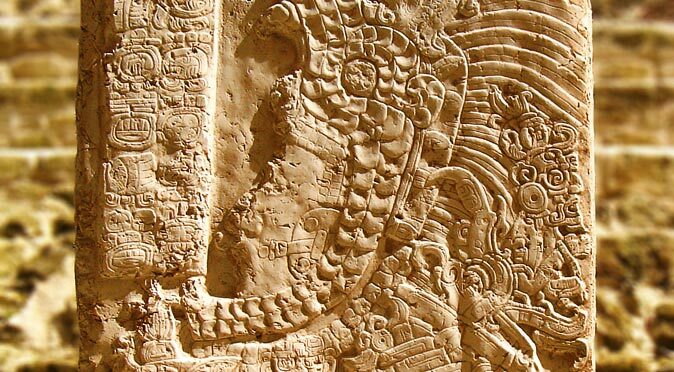 The site core contains 8 Ceremonial Plazas, 5 large temple structures, a Residential Group and an Ancient Harbour for river traffic. 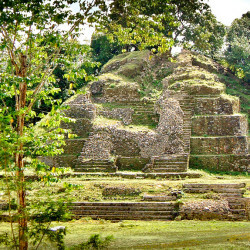 The site is probably best known for the High Temple (Structure N10-43) which rises an imperious 33m and high above the jungle canopy to provide an excellent view over the river (this was still being reconstructed in 2002, but can now be ascended again). 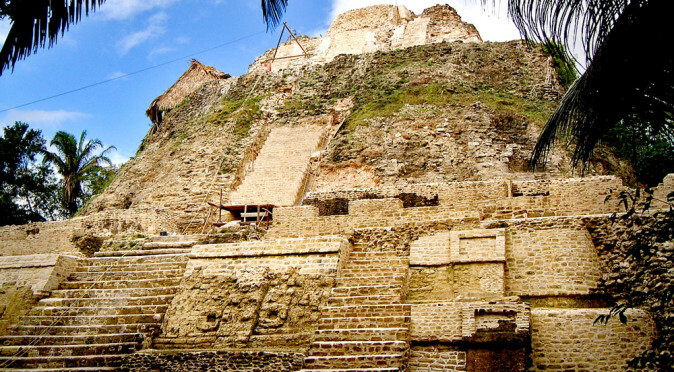 The ruins lack the reconstruction work that many of the ancient Maya cities of Mexico and Guatemala have been treated to and you will need to bring a strong sense of imagination to piece back the jumbles of brick that you see displaced around the archaeological zone. 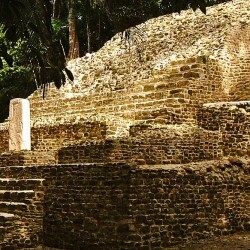 However, hidden amongst the jungle, this gives a real sense of exploration and discovery that you seldom feel elsewhere. 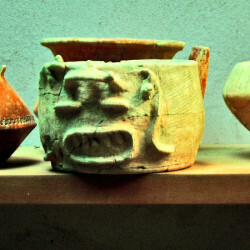 Although populated until the 18th century, Lamanai’s apogee began approximately 2000 years earlier at the end of the Pre Classic era, in around 100BC. 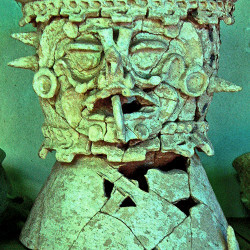 Ancient temple structures have been found beneath both the High Temple and the Mask Temple that date back to this period. 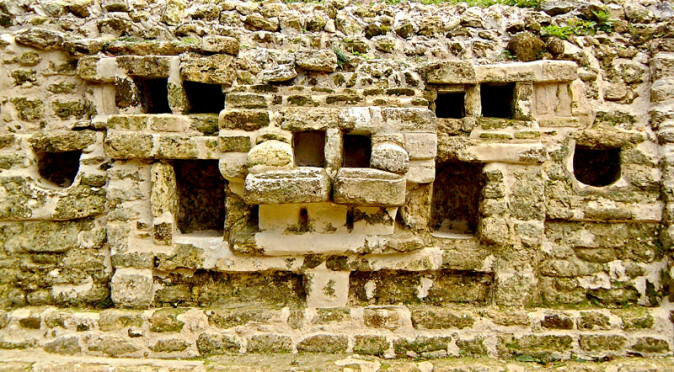 As was customary, the Maya continuously rebuilt these temples in an act of rebirth, a theme that featured strongly in their religion. 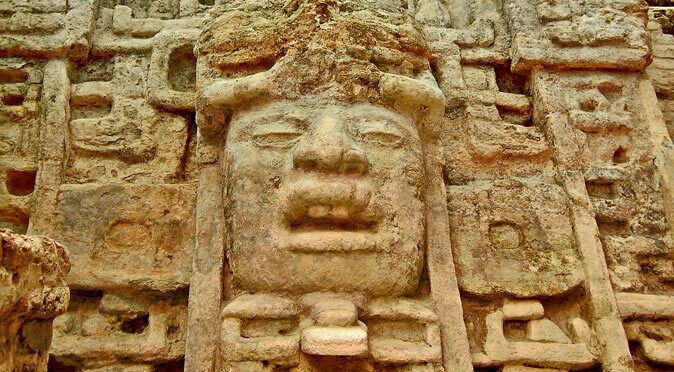 The last constructions on these two temples took place in the 7th century AD, so it could be concluded that this was the beginning of a decline in the religious importance of these temples and possibly the end of Lamanai’s apogee. Residential Area Despite having only lain abandoned for 200 years, the city is in complete ruins. 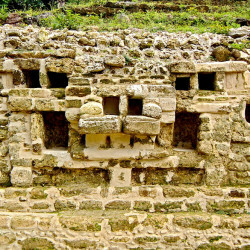 Tropical jungle will quickly pull apart the hard-work of humans hands and can disperse brickwork by quite some distance as it takes root. 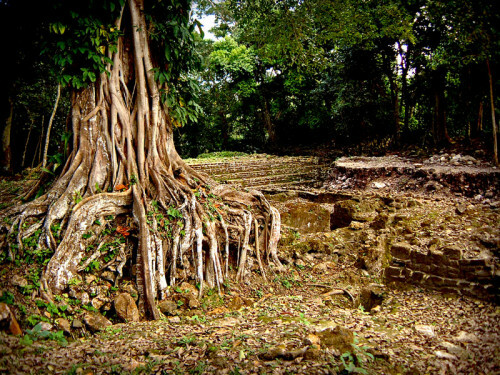 Undoubtedly a large part of the city had already fallen into drastic disrepair along time before it was finally left to become jungle. 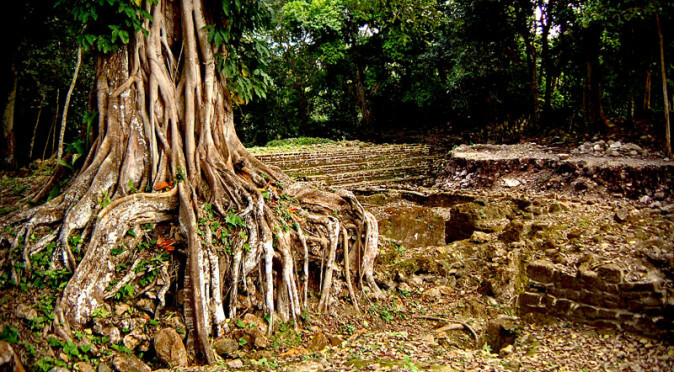 Some of the trees growing out of the residential structures, which were built after the ceremonial temples were abandoned, seem a lot older than 200 years. 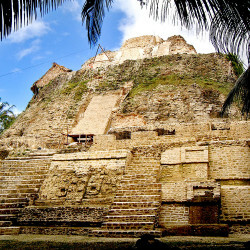 In 2002, there was a lot of work taking place to restore the main temple structures, but the site was still hugely inspiring. 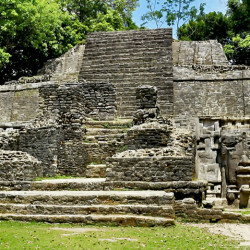 A lot of that work has been completed, which means once again the temples can be enjoyed as they were over 1000 years ago. 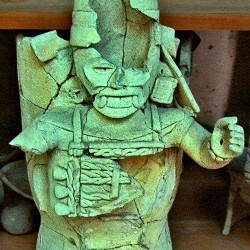 What is also very enjoyable is the journey there, for although Lamanai can be reached by road, it is best reached by boat. 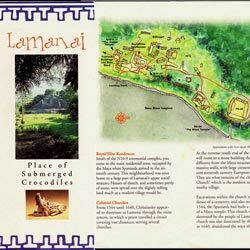 The trip along the river from Tower Hill on the Northern Highway takes an hour, during which you will undoubtedly see the aquatic reptiles that give Lamanai its name – the Place of Submerged Crocodiles. 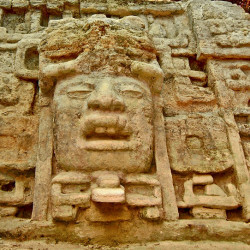 The Jaguar Temple features two huge jaguar masks on its base. 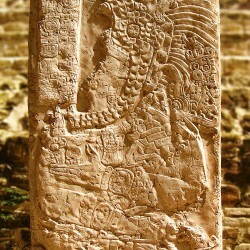 The temple was in use for over 1000 years, demonstrating how the jaguar retained it importance for a very long time.